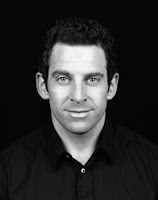 Near the end of The End of Faith, Sam Harris shares an experience from his travels: a terrifying situation – a foreign land, a mob of drunks, a woman being beaten and dragged into a waiting car. Most people would have tried to ignore it, gone back to their hotel, forgotten. Not Harris – unsure of what to do, he strides up to the main perpetrator and, as the enraged man turns toward him, comes up with a brilliant plan: figuring that the mob might not speak English, Harris pretends to be a clueless tourist looking for his hotel. The mob starts to debate what the crazy American wants. The woman, momentarily forgotten, scurries away. Harris, mission accomplished, thanks the mob and walks off. This self-criticism comes at the end of a chapter arguing for the legitimacy of torture. Harris believes that he has “successfully argued for the use of torture in any circumstances in which we would be willing to cause collateral damage” (TEOF, 198). The argument is simple: (1) dropping bombs onto enemy cities will be very likely to inflict horrible suffering on a large number of innocent children; (2) doing this is ethically more heinous than torture; (3) therefore, given that we are willing to drop bombs onto enemy cities in order to prosecute our war on terror, it would be irrational of us to refuse to use torture in the same conflict. He admits that “this equivalence has not made the practice of torture seem any more acceptable to me; nor has it, I trust, for most readers.” He attributes this queasiness to a kind of “ethical illusion,” a “perceptual illusion” caused by the wiring of our brain: “our ethical intuitions are driven by considerations of proximity and emotional salience […]. Clearly, these intuitions are fallible.” In short, while our emotions will always tell us that inflicting direct physical pain on the body of a helpless human being is immoral, our reason can tell us that sometimes such actions are necessary to save the lives of many other people. So too, the “almost everyone” who approve of Harris’ conduct in the anecdote have fallen victim to the ethical illusion that saving one person is a success – when saving this one person entailed abandoning all future people to their fate. If Harris wants to use of the term “flagrantly immoral” to refer to pacifism, it would seem that he will need another term to describe the conduct of a person who sees the person being beaten and gets excited, wants to watch, tries to join the action. Let us define this latter possibility as “hideously immoral,” with the term “flagrantly immoral” now referring to the conduct of people who think they are doing the moral thing but who are in reality just abetting the violence they oppose. Both Harris and the pacifists would agree that the actions of the violent mob are “hideously immoral.” However, Harris and the pacifists would disagree about what kind of action is “flagrantly immoral.” For the pacifist, what Harris actually did was the perfect response: a violent situation was defused without anybody being hurt. If this was the proper response at the personal level, however, then at the political level, the war on terror would be immoral. Having argued for the morality of the war on terror, therefore, Harris feels obliged to translate his political conclusion into conduct at the interpersonal level: even if it means being beaten to a pulp by a mob of angry drunks, we must not shirk our duty to bring fear into the hearts of the hideously immoral mob that threatens us. The phenomenon of hideous immorality actually represents a tremendous challenge to Harris’ view of politics. Harris’ goal is to purge the world of “the religious barbarism that animates our enemies” (TEOF 202-3). Religious barbarism would presumably be another kind of flagrant immorality: its perpetrators would be suffering under an incorrect understanding of moral goodness, and Harris’ political project would be to disabuse such people of their moral illusions. The drunken mob, however, does not become a drunken mob because it believes in an inappropriate moral system. As such, a world purged of the flagrant immorality of religious barbarism would presumably still suffer from the hideously immorality of drunken mobs. If this is apt, then hideous immorality would be a different problem, requiring a different solution. Harris, like Hobbes, is arguing that this kind of violence can only be dealt with by violence and fear of violence. It would be interesting to see whether the various religions offer a different solution to this same problem.